An electronic cigarette is a cigarette shaped battery operated device containing a nicotine-based liquid. The nicotine based liquid is vaporized and inhaled to simulate smoking a real cigarette. Electronic cigarettes, or e-cigs, do not produce smoke, ash, tar, or carbon monoxide. Also called a Vape Pen, this device provides the mechanism of storing and heating the nicotine based liquid for inhalation as a vapor. A Vapor Pen consists of a battery, a cartridge and atomizer, or a cartomizer. Battery – An e-cig battery supplies the power to the atomizer for vaporizing the e-liquid. Cartridge – The cartridge holds the e-liquid. Atomizer – The atomizer is the heating element in the e-cig that vaporizes the e-liquid. Cartomizer – A cartomizer combines the cartridge and atomizer in one device. Should I choose a 2 piece or 3 piece set up? A 3 piece set up requires that you add the e-liquid yourself. 2 piece set ups are often more expensive than 3 piece set ups. 3 piece set up parts – e.g. cartridge, atomizer – will eventually have to be changed. 3 piece set ups allow for a more personalized vape experience in the variety of e-liquids available and the possibility for custom mixes. 3 piece set ups often allow for adjusting the heat setting (wattage/voltage), which can change the flavor and strength of your e-liquid. What are Vapors and e-liquids? Vapors and e-liquids are nicotine based liquids used to fill the cartridges and cartomizers of e-cigs and vapor pens. Vapors and e-liquids come in a variety of flavors from traditional tobacco to more exotic fruit and dessert flavors. What is Vaping, and how is it different from smoking a real cigarette? Vaping an electronic cigarette is different than smoking a real cigarette because the inhaled e-liquid does not produce smoke, ash, tar, or carbon monoxide. Many proponents of electronic cigarettes feel that they will replace the traditional cigarette in the long term. Is Vaping healthier than smoking a real cigarette? There is no medical evidence that suggests that vaping an electronic cigarette is healthier than smoking a real cigarette. The primary difference between vaping and smoking is the lack of smoke, ash, and tar in an electronic cigarette. A starter kit includes all the materials needed to start vaping. An electronic cigarette starter kit should include a battery, cartridge and atomizer, or cartomizer, battery charger, and any necessary e-liquids. This is often the first purchase for a novice. There are a number of starter kits available. Below you’ll find some starter kits available at Minogue’s and through internet retailers. Minogue’s offers blu eCIGS rechargeable starter kits, disposable electronic cigarettes, and cartomizers. Cartomizers come in a variety of flavors and nicotine concentrations. 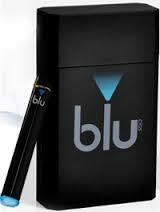 blu holds a significant portion of the electronic cigarette market share, and it’s our most popular brand. blu also has a great rewards program, so be sure to sign up if you choose blu. Minogue’s offers Eco-Cigs rechargeable electronic cigarette, disposable electronic cigarettes, and cartomizers. Cartomizers come in a variety of flavors and nicotine concentrations. Eco-cigs offers an extremely cost effective solution to traditional cigarettes. The calculator on their homepage will tell you how much you can save. Shop a variety of Ecto World vaporizers and e-liquids. Minogue’s has 3 different vaporizers available, including the 650, 1100, and 1300 starter kits. Minogue’s also has 24 different e-liquid flavor and nicotine levels.